The absence of a new, groundbreaking e-ticket Universal Orlando attraction to draw families with small children continues. I vote for a Conan vs Leno ride. I just realized this thread is only a minute old. I think Universal would rather have a market suited for older children, making it different from Disney's young child dominated market. I like the investment of space here, but I'm not a huge fan of this Jimmy Fallon idea. Mr. Harris writes: "I think Universal would rather have a market suited for older children, making it different from Disney's young child dominated market." I Respond: So Universal is surrendering the multi-billion dollar slice of "families with small children" tourism market? That's what it seems like at this point, since Universal hasn't built a preschool friendly attraction since Seuss Landing 15 years ago. Kids didn't know about Twister, but they got that it was about a tornado from the entrance. Kids don't know who Jimmy Fallon is. Adding on to Tyler's point, Universal has no reason to be appealing to small children. The small children market belongs to Disney. An E-ticket Universal Orlando attraction to draw families with small children would probably get some families to come to UO, but Disney parks are targeted to that demographic, and they have invested money into that demographic for decades. If UO wanted to catch up with Disney, they would have to focus a ton on just making family rides. As someone once said, "Disney is for kids, Universal is for teens." That's what the general consensus is, and a family E-Ticket won't change that. This, Hulk, Kong, and Furious aren't Disney crowd stealers like HP. HP is not a franchise that appeals to families with small children. Not with small children, but the 9-13 range that would normally go to Disney. And will STILL go to Disney ... Fallon contributes (weakly) to the part of Universal Orlando's that helps "sustain." It draws a relatively small amount of revenue and fails to make any substantial encroachment of the Disney market share. Nintendo will likely be the draw for families with small children. Nintendo execs know that kids of all ages play their games and probably wouldn't have signed off on the deal if they thought that their key demographic would have been excluded. I guess because it's a screen attraction that means that it's cheaper than twister to operate. This is supposed to be a picture of Bill Paxton. If you can't see it, click me. I believe any new attraction can be a great addition to a Theme park..
USO took Jimmy Neutron and turned it into Minion Mayhem. So when Fallon is no longer relevant, they can change it easily... Bttf became Simpsons. So what if you ignore the 3 to 6 year olds... Ya know, they do get older and then you have them skipping Disney to hit Universal for many more years after... Did you realize you spend most of your life as an adult? Or maybe even re-build Jurassic River ride into It's a small world attraction.... Ya know to go after the really young one's. "HP is not a franchise that appeals to families with small children." I don't know about that. My 5-year old who wasn't tall enough to ride anything aside from Hogwart's Express and Flight of the Hippogriff loved WWOHP. He would have spent an entire day walking around and playing with his wand making all of the effects turn on. I think Despicable Me Minion Mayhem definitely caters to that families with small children audience. I do think the Kidzone area of USF needs some serious work, my guess is that it's next on the docket. Like Brian says. It's nice to go to Universal & not navigate the strollers and electrical vehicles and listen to screaming meltdowns. Disney does what they do well and completely dominates the young child/grandparent demographic. Let both companies continue to do what they do well. That gives us an opportunity to enjoy different experiences. If I want to revisit my youth I can enjoy Disney but if I want a more mature theme park experience, Universal is there. It's the best of both worlds. I hope the two system's demographics stay the same. I do think Disney Springs is a nice expansion. Did you get to see it? Brian: I didn't go to Disney Springs since I'm really not into the shopping thing when on vacation. Vacation was good. But the crowds were too crazy. If it wasn't for the inside stuff I've learned from OU, TPI & TP it could have been a bad experience. As it was, by getting to the parks early and knowing when the line times would spike, I was able to navigate the summer/Christmas/Easter level crowds. TP said Oct. had the first 10 level crowds they've ever recorded outside of the summer/Easter/Christmas period, and there were about a half dozen while we were there. Fastpass+ wasn't much help cause those lines were long too.The room refurbs on the Caribbean Resort were really nice & we had a first floor corner room right on the lake. ..But the highlight of our vacation was the two day trips we made to Universal. It felt like going home when we arrived there. Everything so close, easy going and laid back. But it's not at the same level as staying on site there. That's the ultimate. We did take the boat to our regular hotel Portofino though, and had lunch & a bottle of wine on the lagoon piazza. And I picked up my AP's which we'll also be using for next year's two Universal vacations. And, of course we visited Diagon Alley again. So immersive we can't stay away. And the Kong attraction is looking great at IOA...All in all a really good vacation. We left Pgh. for Florida a day early because of the Hurricane and made it through I95 about an hour before they shut it down for 10 days. 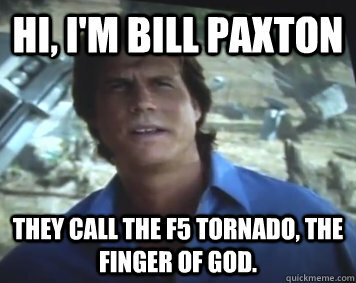 Fallon is a replacement for Twister. It's an one for one replacement of attractions that appeal to the same demographics. It doesn't change the needle. I don't see what the big deal is. Besides, the attraction is in Universal Studios instead of IOA. The studios park appeals to an older crowd, which is no different than Disney's Hollywood Studios. Anyways, Fallon is late night television. Kids don't normally watch it except in snippets on Youtube. I don't bother watching Late Night television either. I can't help but agree with TH. Universal has been knocking one after another out of the park since Hogsmeade, but this attraction seems to do nothing in enticing new crowds perhaps it will be awesome, but it's shelf life is only as long as Fallon is on the air. Despite people's attitude to Disney's primary market of children, people of all ages can find something for themselves there, and do. Neglecting a market segment as lucrative as families with young children does not make great business sense (imho). Maybe, as previously suggested, the nintendo deal aims to correct this. Comcast execs dream of finding a children's franchise that could draw the same way the Disney princess franchise draws. TH: There aren't any. So not much use going up against the Disney giant for that audience. Universal could build 10 E ticket's to pull that group in and they wouldn't put a dent in Disney's hold on that demographic. Best for Universal to continue to do what they do best. But putting in rides and attractions for young children will increase the frequency of families returning to Universal. Universal cannot ignore the young children demographic. Nintendo Land will help. Smurfs could help. Peanuts/Snoopy, Sesame Street, Thomas the Train, Dreamworks Animation, all could help. As for Jimmy Fallon, its a replacement/filler ride in a small footprint. Universal is using what it has (the show building and limited space) to update the attraction. Universal has done it before with the Simpsons update of the BttF ride and the Despicable Me update of Jimmy Neutron. Most likely the Furious ride and definitely the Nintendo Land will be a "from the ground up" replacement. So Universal Creative's creativity can't keep pace in that market? Basically, this ride is the same concept as the one Empire State Building Sky Ride at New York city. I wish the concept of this ride would have been something in the vein of Universal Hollywood tram tour. But instead of touring props, you are magically transported into the world of different movies. As Jimmy Fallon tries to save you from each movie dangers, you explores worlds of Universal or other movie properties like Ghostbusters, Back to the Future, Star Trek, Bourne movies, or Looney Tunes. I rather it be more theme to the movies then a wild crazy, a la Mr. Toad Wild Ride though New York City. Granted this ride will use the screen technology, but rather than giving it a limited scope of Sorain thur New Yor with Jimmy Fallon, having expanded to encompass a more theme park favor like riding the movies might make for a more enjoyable and repeatable ride. 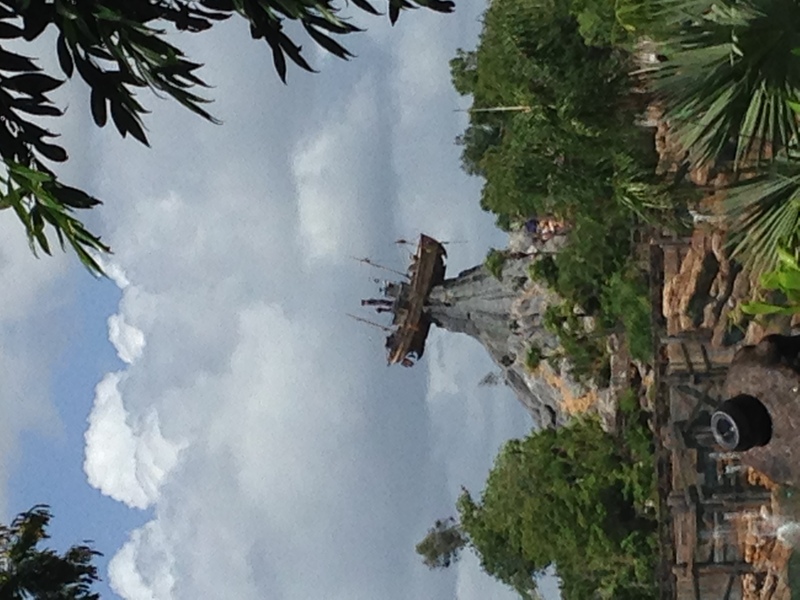 Speaking of family rides, I finally got to ride (numerous times) Little Mermaid & 7 Dwarfs at MK. Though 7 Dwarfs is too short, it is a very entertaining ride. The dark scene in the cave is priceless and the coaster is beautifully landscaped and fun for it's intended family demographic. And I don't really understand the hate for Little Mermaid. It has one of the best queues in WDW and the ride was very entertaining. I thought it was a notch or two above Nemo at Epcot. The shed I built in my backyard is "a notch or two above Nemo at Epcot." I feel that this attraction is going to become aged really fast! While I agree that Universal is missing a major market for the most part, I don't think this necessarily knocks this attraction down. If Universal Creative can come up with a fun attraction in a limited space, and it improves upon what is currently there what's the issue? Might not be what "you" wanted but the attraction couldn't get much worse than Twister. If any e-ticket family rides happen I'd suspect it to happen with an expansion of Seuss Landing, Nintendo Land, or even an expansion of the Studios with a Minion Land. Am I the only one waiting for a big announcement that this is actually all a big hoax to mislead what is actually going in there? This whole thing seems as out of place as a Mickey Mouse meet-and-greet on the midway at Cedar Point. On the Jimmy ride....I really cannot see what would make me want to go on this ride. I'll hold back till I see some better footage when it gets closer to opening. I agree with Mr. Kitz ... I probably won't go on it until it opens. I don't think it's a ride that they are expecting to be a huge game changer or attract a larger audience. I get the impression that this ride is just a quick easy replacement for Twister which is beyond dated and isn't timeless. Not that I think Jimmy Fallon is timeless, but I think he will have a fairly long shelf life and the ride is screen based and could be easily updated periodically. I agree with Court, look at what they did to Back to the Future! I agree! Something seems really fishy about this...like a hoax or something. "Not that I think Jimmy Fallon is timeless, but I think he will have a fairly long shelf life and the ride is screen based and could be easily updated periodically." His current contract runs through 2021, so if it opens as projected in 2017, Universal will get over 4 years out of it while he's still on the air, and perhaps more if he gets another extension beyond 2021. If nothing else, I'm sure it would be pretty easy to remove Fallon from the attraction in favor of another Celebrity Du Jour if his popularity wanes. Jay Leno lasted "May 25, 1992 to May 29, 2009, and resumed production on March 1, 2010 until its ending on February 6, 2014" That's about 21 years. The ride can last that long. There's no reason to think his contract won't be extended. The Tonight Show is well known entity that doesn't change much. Jimmy Fallon is doing fine except for cutting his hand constantly. Luckily, he isn't cutting his nose. And previously, since it's inception in the 50's the only regular hosts were Steve Allen, Jack Paar , Johnny Carson and Jay Leno (plus the Conan aberration). Lots of host longevity and NBC has almost always owned that time for ratings. I still like him better than Fallon and Leno, combined. I think Jimmy Fallow is talented and a good tv host. He's young and I can see him growing in popularity and NYC is a well loved city. The question is how good the film will be and if the attraction will be something worth seeing more than once for all the pass members. Whats next? The Carousel of Progress staring Jimmy Kimmel? Matt Damon would be the bad guy.